WebTV is the idea that has been waiting to pop for a few years now. Seemingly YouTube is the big bang moment of this idea but unless TV for you is an unmitigated version of America's Funniest Home Video it's wanting for some quality control and maybe erm... SHOWS! Not to worry though boy genius Michael Cera and his buddy Clark have created what might be the greatest WebTV show ever(as faint praise as that may currently be). That show is Clark and Michael. It's for fans of the dry banter of Flight of the Conchords, for people fond of the pregnant pauses and awkward moments of either Office, for fans of Seinfeld's kvetching, and of course for fans of Cera's work on TV's much beloved Arrested Development. The show follows two guys ostensibly working on getting a television development deal. But really it's a show about two friends always learning to live together. 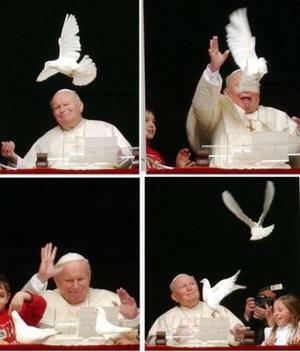 (Like Perfect Strangers.) Thus far there have been 8 episodes and tomorrow is the premier of a new one so what better day than today to do so? "But Tim," you protest. "I don't have time to watch 8 episodes of anything." Well what if I told you that each episode topped out at 8 to 10 minutes?! Would that interest you? Cause it should. Watch it HERE!!!! In other Cera news he was very funny on Letterman below. In this age of instant gratification it is truly distressing to be denied your heart's desires. 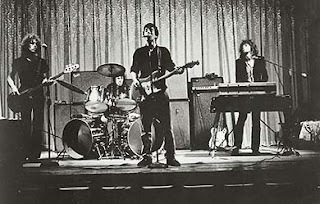 I have for several months now been sadened by the lack of classic Modern Lovers footage on You Tube. I worry that perhaps there is no such footage in existence. That is why I'm taking this opportunity to put the call out, if you have footage of the classic 70's line up of the Modern Lovers (not the 1986 version featured below) performing please get it on to You Tube and call our cultural attention to it. Don't let this be the way the modern lovers are remembered. Congestion Pricing, one of the best and biggest reform ideas to hit a state legislature in years seems to have died today. Over the past month I've asked at least 6 cabbies what they think of the policy, not one had a negative thing to say about it. Michael Bloomberg is responsible for the titular quote which should be written on the tombstones of the political careers of those who blocked this policy. For every endorsement you catch and regret looking into from Pitchfork, Blitzen Trapper I'm eye balling you, there are some that you miss. Like today, buried beneath a James Brown hits disc and a Flaming Lips live album is an excellent EP by a band I think has a shot at cult notoriety. 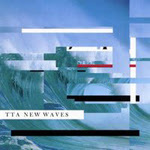 The band is the Tough Alliance and the EP is called New Waves. Some how inspite of an 8.0 this EP is missing the Recomended tag, so I've taken it upon myself to make the Recomendation. The EP would be worth your scratch just for the synthed out bliss of lead single "Silly Crimes," the best single to spill out of Sweden since PB&J's Writer's Block had us whistling this past fall. But that's not all. There's dark spot's and dancier spots and it's all in such a tight little package that you have no time to get fed up with the mini-album's short comings. Below is the video for "Silly Crimes", if it doesn't sell you I have no idea what might. You can also MySpace them.